Every human they have two kidneys. The kidneys are a pair of organs on either side of the spine in the lower abdomen. Each kidney is composed of about one million microscopic "filtering packets" called glomeruli. 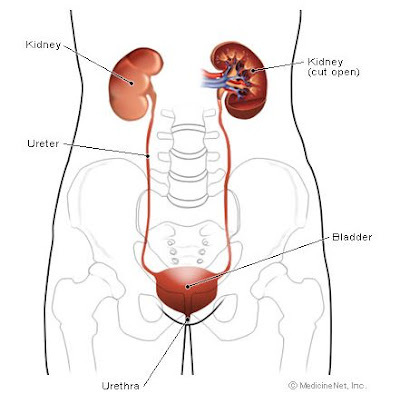 The kidneys are part of the urinary tract which made urine by removing wastes and extra water from the blood. What is kidney cancer disease? Kidney cancer is cancer that forms in tissues of the kidneys. Kidney cancer develops most often in people over 40, but no one knows the exact causes of this disease. The most common type of kidney cancer in adult is renal cell carcinoma (RCC), approximately 85% of all cases. 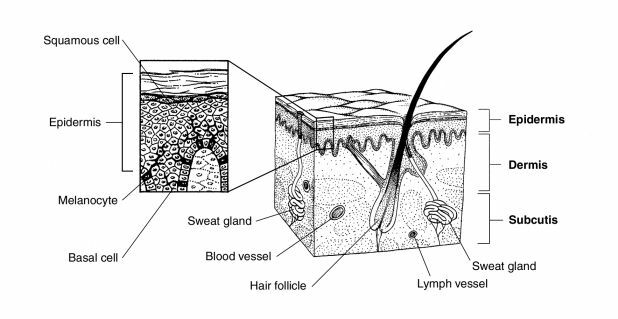 This is kind of cancer that forms in the lining of very small tubes in the kidney that filter the blood and remove waste products). The Other kidney cancer disease which attack some adult is renal pelvis carcinoma (RPC). Renal pelvis carcinoma is a kidney cancer that forms in the center of the kidney where urine collects. Kidney cancer in the children are more likely to develop a kind of kidney cancer called Wilms' tumor. Early diagnosis of kidney cancer is important. Who's at risk to get kidney cancer disease? Smoking: Cigarette smoking is a major risk factor to develop of many cancer. The smokers are twice as likely as nonsmokers to get kidney cancer disease. Simply we can say that, smoking can make increase of value in the kidney cancer disease. Obesity: The people who has fat body (obese) are also as high risk to get kidney cancer disease. Long-term dialysis: The patient who always getting dialysis treatment for many years are having risk factor for kidney cancer disease. Occupation: Those people who contact with certain chemicals or substances in their workplace, They are also include in the risk of getting kidney cancer disease. Coke oven workers in the iron and steel industry are at risk. Workers exposed to asbestos or cadmium also may be at risk. Gender: Males are more likely than females to be diagnosed with kidney cancer disease. Each year in the United States, about 20,000 men and 12,000 women learn they have kidney cancer. What is Sign and Symptom of Kidney Cancer? How to Diagnose of kidney cancer disease? 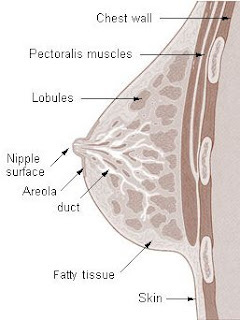 Physical exam: Is there any fever and high blood pressure, and He/She also feels the abdomen and side for tumors. Now days, Most of kidney cancers disease are discovered by chance when an imaging test such as computed tomography (CT) or Ultrasonography. How to decide stage of kidney cancer disease? 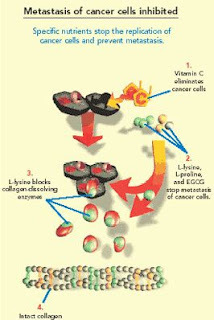 Stage I Kidney Cancer disease, the cancer is found only in the kidney. 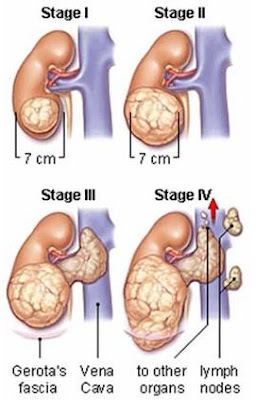 Stage II Kidney Cancer, the cancer has spread to the fat around the kidney, but the cancer has not spread beyond this to the capsule that contains the kidney. Stage III Kidney Cancer, In this stage the kidney cancer disease classified by the cancer spreading to the main blood vessel that carries clean blood from the kidney (renal vein), to the blood vessel that carries blood from the lower part of the body to the heart (inferior vena cava), or to lymph nodes around the kidney. Stage IV Kidney Cancer, the cancer has spread to nearby organs such as the bowel or pancreas or has spread to other places in the body such as the lungs. Gastric cancer is a malignant disease occurs in the stomach (an organ of the digestive system) which becomes a major cause of cancer death worldwide, especially in developing countries. The incidence of this form of gastric cancer is extremely high in Japan, Chile, and Iceland where the most frequent cancer are happened in men. Gastric cancer is commonly known to be not-angiogenic, but advanced gastric cancer (AGC) is very aggressive and easy to metastasize. The risk of gastric cancer is also increased in Down syndrome. Risk of gastric cancer is not increased after partial gastrectomy. The relationship between atrophic gastritis and gastric cancer is explored. Another opinion, The association of cigarette smoking with gastric cancer is equivocal. Pernicious anemia, an autoimmune disease where the stomach does not produce stomach acid, has also been linked to gastric cancer. 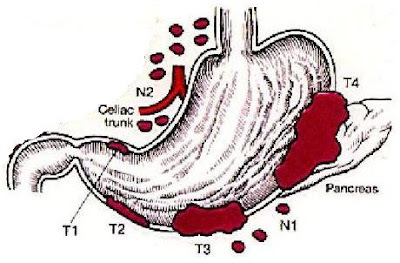 There are two major variants of gastric cancer, intestinal type and a diffuse type. One type of gastric cancer is associated with infection by the Helicobacter pylori (H. Pylori), Helicobacter pylori associated with a high prevalence of duodenal ulcer disease and a low prevalence of gastric cancer in a developing nation. 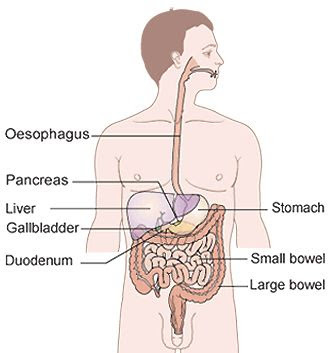 Gastric cancer is classified by the tissue type and location in the stomach. Diffuse-type gastric cancer (DGC) is a specific type of stomach cancer that tends to affect much of the stomach rather than staying in one area of the stomach, These is the most deadly form of gastric cancer and is frequently accompanied by peritoneal dissemination and metastasis. In the diffuse type of gastric cancer, glandular structure is often not present and cells are scattered as either solitary cells or small clusters of cells. 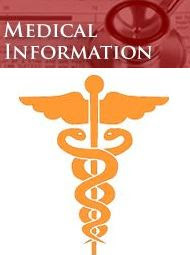 On the era 1940, in United State the intestinal type cancer is the most common. Rigth now, Adenocarcinoma is the most common type of gastric cancer [American Cancer Society, 2005; Rustgi, 2004]. Intestinal type was more frequent in male, This is type of gastric cancer has also been related to diet. - Indigestion and stomach discomfort. - A bloated feeling after eating. - Blood in the stool. - Jaundice (yellowing of eyes and skin). - Ascites (build-up of fluid in the abdomen). Certain laboratory tests can be helpful in figuring out how serious (advanced) the gastric cancer is. Advanced gastric cancer is generally refractory to chemotherapy, which leads to poor prognosis. The best test that can be done to evaluate for gastric cancer is an endoscopic examination of the stomach. Physical examination also an essential to rule out distant spread of disease. When the diagnosis of gastric cancer is established, it is most often advanced. according to many reasearch, The prognosis for gastric cancer is poor. When gastric cancer is found early, there is a better chance of recovery. Unfortunately, many cases are not diagnosed until late stages of disease, which underscores the importance of the palliative treatment of gastric cancer. 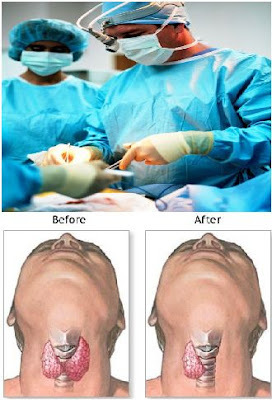 Gastric cancer is Currently, the only known curative therapy for nonmetastatic gastric cancer is a gastrectomy performed by experienced surgeons. Chemotherapy and radiation therapy can also be used to treat and relieve symptoms of the disease. If stomach cancer or gastric cancer is caught at an early stage, and the entire tumor is removed, a complete recovery is possible. For the patient who post surgery of gastric cancer, The dokter will recommended them to perform repeated endoscopic examination at least first 6 months after eradication therapy. Postoperative chemoradiation therapy may be considered for patients with stage III gastric cancer. The role of adjuvant therapy in gastric cancer has been controversial given the lack of significant survival benefit in many randomized studies so far. Thus novel therapeutic approaches such as gene therapy promise to become the alternative choice of treatment in gastric cancer. In Europe, another drug that is being studied in the phase 3 setting is irinotecan in advanced gastric cancer.